[Updated from 3/8-9,12/16] You have until March 21 to send the Wisconsin Department of Natural Resources your thoughts - - email, regular mail directions, here - - on the application to the DNR for the green-light to divert 7 million gallons a day of Lake Michigan water to GOP Gov. Scott Walker's beloved, budget-busting project for Foxconn - - a private business headquartered in Taiwan. This is the same project financed with record-breaking state subsidies organized by Walker and his compliant, GOP-led state legislature where excavation, paving and building on 3,000 acres of Racine County farmland, wetlands, lake beds and stream courses has been exempted through precedent-setting special-interest legislation from routine state environmental assessments and permit requirements. Here is a full Foxconn archive back to day one. 3/12 update - - More on Wisconsin's environmental outlier status, here. So, yes, it's important to send in your comments and build a strong record in favor of water conservation and Great Lakes integrity - - despite plenty of reasons to believe that the approval is in the bag - - but also without any illusions. The diversion application - - to be reviewed by, and receive its up or down ruling from, the DNR and only the DNR - - also seeks DNR approval for Foxconn's flat-screen panel production processes to use consumptively about 40% of its daily diversion, with the balance returned to the lake properly treated. * The application has a fundamental credibility problem. Discussed for years on this blog - - here, for example, or here. State Sen. Tom Tiffany has owned up to asking for job cuts to DNR scientists, who he has said focus too much on climate change. On Friday’s Devil’s Advocate radio show, the Hazelhurst Republican said he asked Gov. Scott Walker and his staff to include a provision in the state budget axing approximately 17 positions from the Department of Natural Resources’ Science Services Bureau. “Yes,” he said in responding to a question asking him if he requested the cuts. Which is why you won't see the DNR fighting Tiffany on his wetland-filing bill Walker just signed into law. Or opposing Tiffany's separate bill Walker also recently signed to allow companies to begin very toxic mining statewide that had been barred for the last 20 years. The compact further defines “public water supply” as serving “largely residential customers that may also serve industrial, commercial and other institutional operators,” Sinykin said. And let me be clear here that I am addressing in this assessment of the DNR the senior, politicized management of the agency on behalf of Walker's vision and not the hard work of many DNR staffers who continue to do their jobs day-in-and-day out with public service dedication and professionalism. Under Walker and [then-DNR Secretary Cathy] Stepp, science is not a priority. Scientific knowledge is ever-changing but in Wisconsin our staff are being left behind. We no longer have a statistician to help interpret data, a library to provide journals or books, or researchers that monitor fish counts, wildlife health, air quality, water quality and etc….employee scientific knowledge and data specific to WI is stagnant...we cannot do the best job possible for our state. water policy decisions should be based on the strong bond between law and science, that the people in charge of making water quality decisions should have the credentials to do so, and that Wisconsin's true and sustaining wealth is its clean water." Get rid of the politicians who are beholden to and serve these losers. Replace them with people who take your well-being into consideration. You matter. * Approved for a sand mine business a permit to destroy rare wetlands and timber - - though recent sworn testimony claimed that senior DNR officials had intervened in the permit review against the assessment of expert staff on the side of the business. * Long-promoted an earlier application for a Lake Michigan diversion for the City of Waukesha that included sending diverted water for communities and open space near Waukesha which hadn't applied for the diversion. The application was eventually approved by a body of Great Lakes governors - - a process more complex than what Racine County is likely to win solely from the DNR - - but the DNR's insistence that the diversion include Waukesha's neighbors, for the most part, was deleted. * Ignored its own pollution rules in 94% of the cases which came its way. * Deleted climate change science and related materials from its official website. * Recommended to its official oversight board that state park land inside a state park be made available to a major Walker donor for upscale, privately-owned golf course construction. And also issued a related permit - - the first of several - - so the developer could fill wetlands on his golf course's proposed 247-acre Sheboygan County site along the Lake Michigan shoreline - -a site on which scores of acres rich in timber, wildlife habitat, dunes and native artifacts will be bulldozed, stripped clean and otherwise turned into fertilizer-enriched fairways, putting greens, and a driving range. All close to Lake Michigan. Nice symmetry with the Foxconn Lake Michigan diversion pipe not too far to the south off Racine County. The DNR as directed by Walker and his hand-picked, big-business friendly team have repeatedly bent and massaged Wisconsin rules and law for special-interest advantage. So let's build the record, with our eyes wide open. It's unfathomable that the governor has permitted destruction of wetlands, contamination of Lake Michigan,destruction of forests, habitat and natural resources. All this has happened for the benefit of big business or, in the case of another golf course in Sheboygan,for the interests of a wealthy contributor. Beyond the voiced objections of WI citizens and reputable environmental studies..does he have any interest in preserving and protecting his state? Why does only money speak for us? Why doesn't truth and law speak for us. We give up- feeling helpless and in the meantime our rights and laws are dismantled behind our backs. 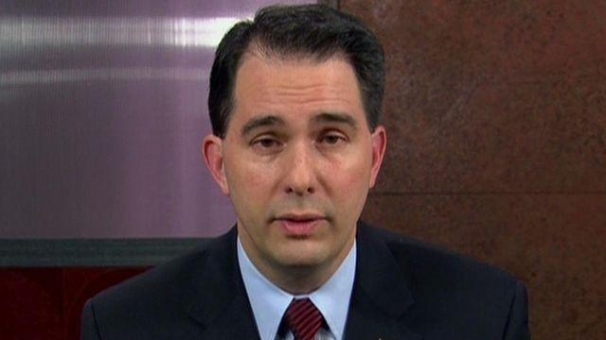 This ploy of making new jobs is so Walker can get re-elected and for no other reason. Since when does a company from another country take priority over Wisconsin's well being?? How can we really fight back and have a 50-50 chance of winning? ?